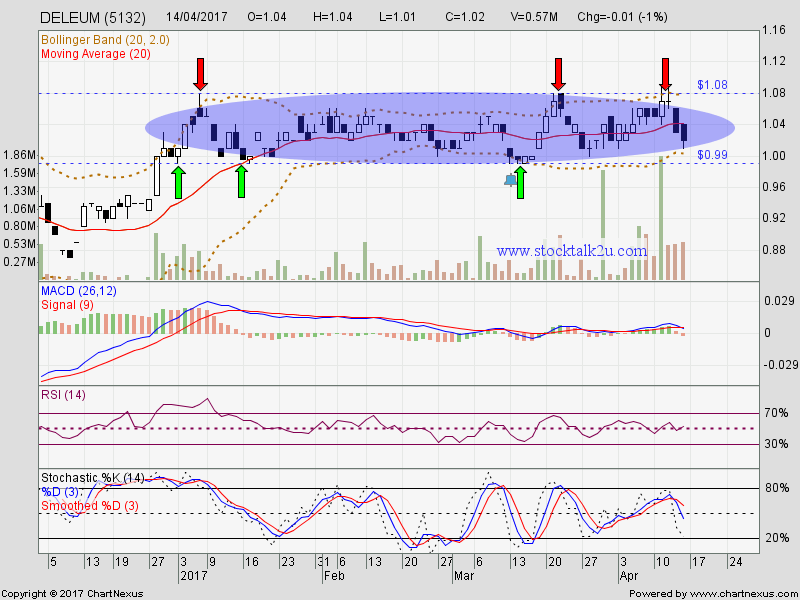 DELEUM forming bolinger band squeeze within RM0.99 & RM1.08 range. When will it breakout the band? 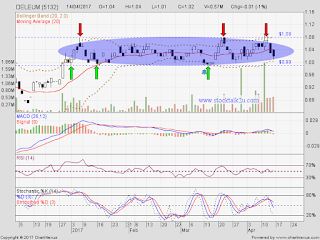 Immediate resistance @ RM1.08 level. Immediate support @ RM0.99 level. Subsequent support @ RM0.95 level.